Chief Justice T S Thakur-led bench of the Supreme Court today referred the petition challenging the All India Bar Examination (AIBE) to a constitution bench after it framed three questions with the help of senior lawyer K K Venugopal who was earlier appointed amicus curiae in the contentious matter. 1) Can a pre-enrollment exam be prescribed by BCI as a condition precedent for enrollment? 2) If the BCI can prescribe a pre-enrollment training in terms of the BCI ‘s training rules issued in 1995 as framed under Section 24 (3)(d) of the Advocates Act, 1961. If so whether the case of V Sudhir v. BCI has been correctly decided? The apex court has already said it was not averse to any exam to test the capability of law graduates in the “interest of betterment of the profession” but only wanted to verify if the AIBE was within the “parameters of law” and if it should be held before enrollment or after enrollment . Justice Thakur had told the BCI Chairman: “at what stage this training and exam can be held we want to know. This has to be sorted out. We want to examine it more authentically. If any amendment is required we will order that it is required . But it needs to be required once and for all”. “What has happened to the noble profession and the lawyers? Fall in standards is visible. It is time we introspect, raise the standard, look what is happening around us..Some advocates are agitating, some are stoning, some are firing and very few are arguing” the CJI had earlier said in an apparent reference to the violence indulged in by lawyers recently at the Patiala House Courts on two days when JNU sedition case accused Kanhaiya Kumar was being produced. 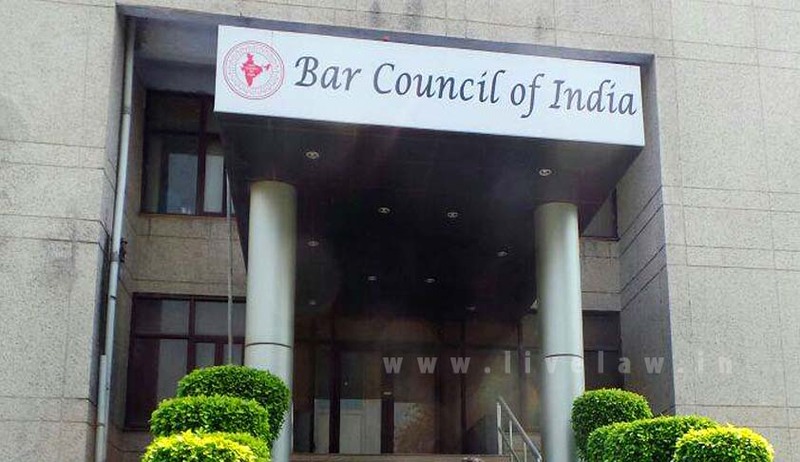 On an earlier occasion, as advocate Ardhendumauli Kumar Prasad who appeared for the BCI stoutly defended the exams, the CJI said “of course practicing is a fundamental right and we cannot do anything which completely negate the right. But see we are not averse to the exam. Only looking into if AIBE is within the parameters of law. We are considering how to strengthen the system. Let only the most suitable enter the profession. These days we can see somebody wearing a black coat and doing other businesses”. “Look at other professions… only those who score high in their science subjects and entrance exams become doctors or engineers. Its not like that in legal profession. Every law graduate becomes a lawyer. Law graduates need not get such a free ride. We don’t want half-baked lawyers. We have to make sure that even the most junior of the Advocates is good enough to ensure that justice is done. Lawyers have an important role in the society. Do not belittle it. They are playing an important role in helping administration of justice” The system is crying for reform and the time has come”, said the CJI. The bench had also asked BCI whether it had statutory backing to conduct AIBE. The CJI said a committee appointed by the SC had recommended amendments to the Advocates Act before conducting such an examination. But you (BCI) went ahead with the AIBE merely on the basis of a resolution. "You can make rules to stop malpractices by advocates. But to make clearing of an examination mandatory for a law graduate to be able to practise is like negating a lawyer's right to appear in court?" the bench asked. The bench clarified that it was not against holding the examination per se. "But without an amendment to the Act, can you hold the examination?" it asked.